Welcome to Coordinated School Health! 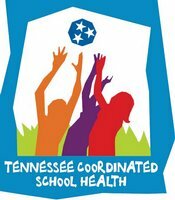 Manchester City Schools Coordinated School Health is funded by a grant from the state of Tennessee. "The mission of Coordinated School Health is to improve students' health and their capacity to learn through the support of families, communities, and schools." "Children must be healthy to be educated and educated to be healthy." Coordinated School Health (CSH) connects health with education. Student health directly influences academic achievement. The CSH model, developed by the Centers for Disease Control (CDC), addresses physical, mental, and social health of students and staff through family, community and school resources. CSH includes eight components that affect the health of a school population and its surrounding community.